On Wednesday, November 5th, the Society for Human Resources and Professional Development (SHRPD), hosted Clinton Cowart, Human Resource consultant with Cowart Consulting and Statesboro Area SHRM member, as a guest speaker. The theme of Mr. Cowart’s presentation was Diversity and Stigmas of the Disabled in the Workplace. Mr. Cowart is a survivor of multiple sclerosis, cirrhosis of the liver, a cleft palate, and partial paralysis from birth. Thank you to Viracon for hosting the Statesboro SHRM’s October meeting. The plant tour was informative and showcased the many different processes that Viracon utilizes in the production of high quality glass, where they maintain a 99.9% quality standard. The local Air Evac Team allowed participants to inspection a helicopter and the related flight equipment. Cheers from the Statesboro Society of Human Resources as we look forward to seeing you at our November meeting. 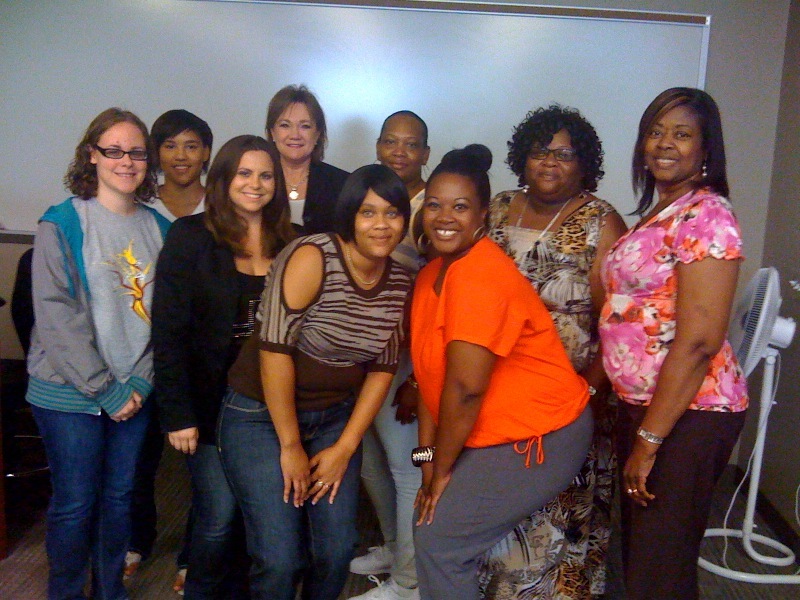 On September 11, 2014 the Statesboro Area SHRM Chapter hosted their 3rd Annual Leadership Summit at Ogeechee Technical College. It was a fun packed day with great speakers, information, prizes and opportunities to network with other business and HR professionals. The greatest treat of all was having Adrian Peterson Former NFL Player and Georgia Southern Football Legend, as our Keynote Speaker. Adrian shared with the group his signature speech "Don't Dis My Abilities". It was truly a session to remember! We want to thank our Conference Committee for all of their hard work. Statesboro Area SHRM Named 2014 "Best In Georgia - State Chapter of The Year"
On August 25, 2014 at the Annual State Leadership Conference in Atlanta, the SHRM Georgia State Council Recognized the Statesboro Area SHRM Chapter as the "Best In Georgia - Chapter of the Year". Read more about Statesboro Area SHRM Named 2014 "Best In Georgia - State Chapter of The Year"
On August 16, 2014, the Statesboro Area SHRM Chapter and Congressman John Barrow's Office partnered to host the Veterans & Military Job Fair. Approximately 30 employers attended this event in support or providing resources and employment opportunities to local job applicants. Prior to the beginning of the job fair, interested applicants attended a class which covered topics such as professional presentation and interviewing. 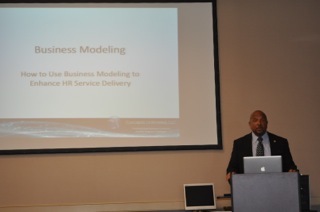 A great event with thank you going out to the Citizens Bank and Mr. Curtis Woody for his informative presentation on Business Modeling. To all those in attendance, thank you, and we look forward to seeing you next month at the leadership conference. Thank you to all in attendance at July's meeting "Transitioning To Medicare". Mrs. Cynthia Kennedy shared an abundance of useful information concerning Medicare including the regulations, associated costs, benefits of various product offerings, and the specific timetables to begin coverage. These various elements must be knowledgably navigated to obtain the most value and/or best coverage for each individual over 65.